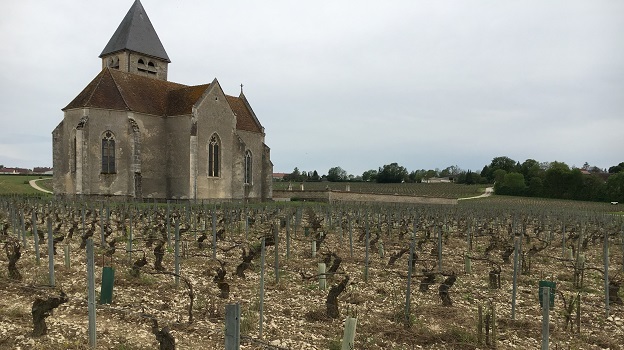 While the late-April frost may have been less damaging in Chablis than it was on the Côte de Beaune, large additional swaths of the greater Chablis region were ravaged by two hailstorms in May. 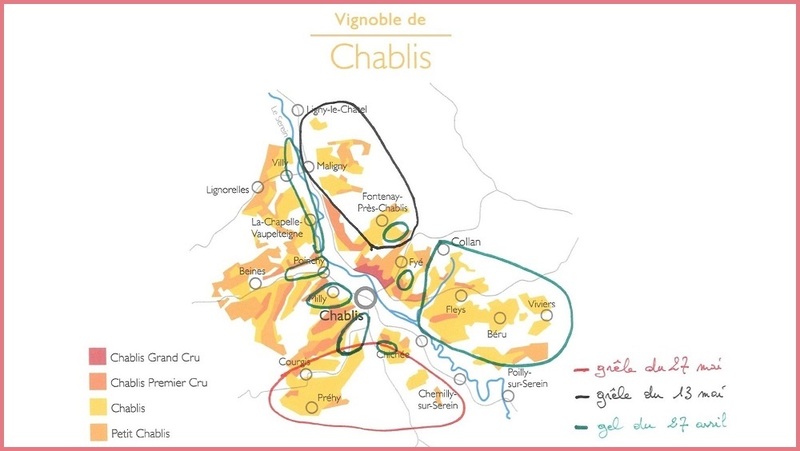 By many accounts, production of village wine in Chablis will be down by at least 60% to 65% in 2016, and that represents a huge quantity of lost juice. The second hail storm, which struck the southern part of the appellation on May 27, was especially ferocious: in the space of barely 15 minutes at about 1:30 in the morning, a massive amount of vineyard acreage was stripped clean of buds and foliage. This map above was created by Didier Séguier, director/winemaker for Domaine William Fèvre. It shows how extensively the Chablis region suffered from frost and hail this spring (grêle is hail and gel is frost). Interestingly, the Grand Cru slope in the heart of the appellation was virtually untouched. Note that grape clusters are initiated during the previous year’s growing season before the flowering, so the vineyards hardest hit by hail in 2016 will most likely produce barely half of a normal crop in 2017. The photo below does not show vines in December; I took it at Domaine Brocard on June 10.